Paul Branconier's head coach at California's Covina High School Dave Barret laid out the stakes after this May 1988 sectional game: Branconier had walked home a run in the fifth. He needed an out on the next batter or he'd be pulled, according to The Los Angeles Times. "If Paul didn't retire that batter, that would have been it for him," Barret told The Times. "But Paul kept his cool and stopped them when he needed to do so." Branconier stayed on and ended up with the win, The Times wrote. He then went on to try his hand at the pros. No matter how much he kept his cool, though, he never made the majors. He played four seasons and made it to single-A. Branconier's career began that year in 1988, taken by the Dodgers in the fifth round of the draft directly out of Covina. Branconier started with the Dodgers in the rookie Gulf Coast League. He went 6-1 over 10 starts, with a 2.70 ERA. He moved to short-season Salem for 1989. He went 5-6 over 15 starts, with a 4.91 ERA. He struck out 51 in 88 innings. He then played 1990 at short-season Yakima. He went 1-4 over 18 outings, six starts for a 5.28 ERA. 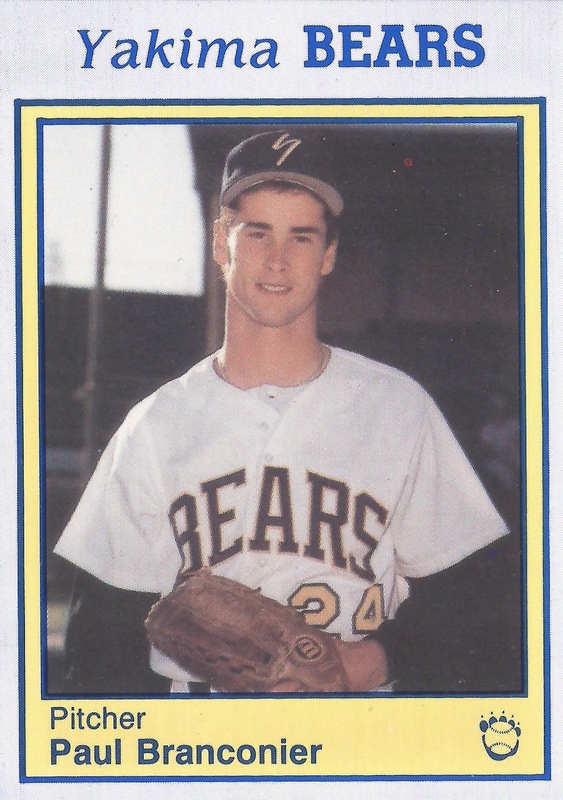 Branconier jumped to the Astros and single-A Asheville for 1991. He worked six innings in a May game and gave up a single run in a tough-luck 1-0 loss. He went 6-10 over 25 starts, with a 3.57 ERA. That year marked his final year as a pro.